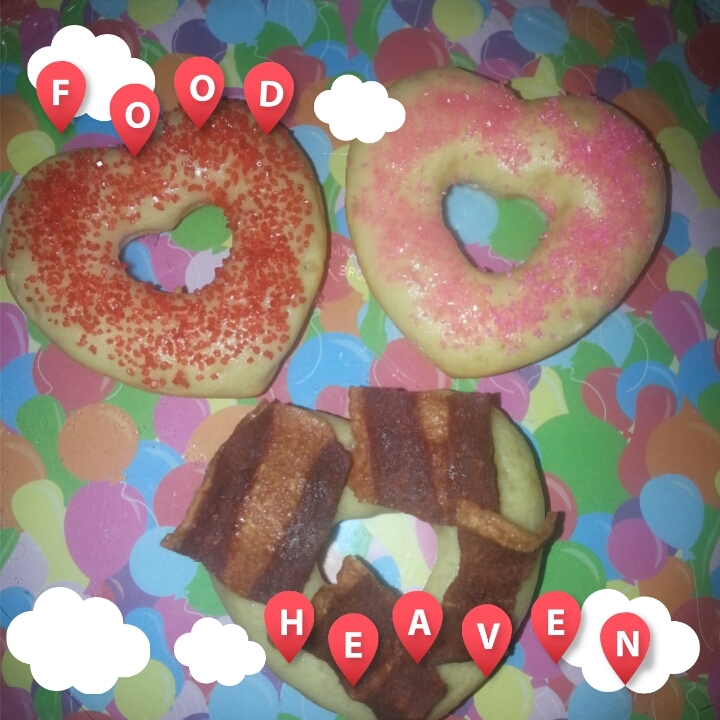 A while back a good friend of mine made some Donuts for my daughter’s using soda and cake mix. This then prompted them to ask……mom do you think you would ever make donuts? I said sure I would love to make donuts from scratch, I just need to order a donut baking pan. So while online last week, I saw a cute heart shape donut baking pan. I thought this would be so cute…..and the girl’s will love it. It arrived pretty quickly, it only took 3 days. 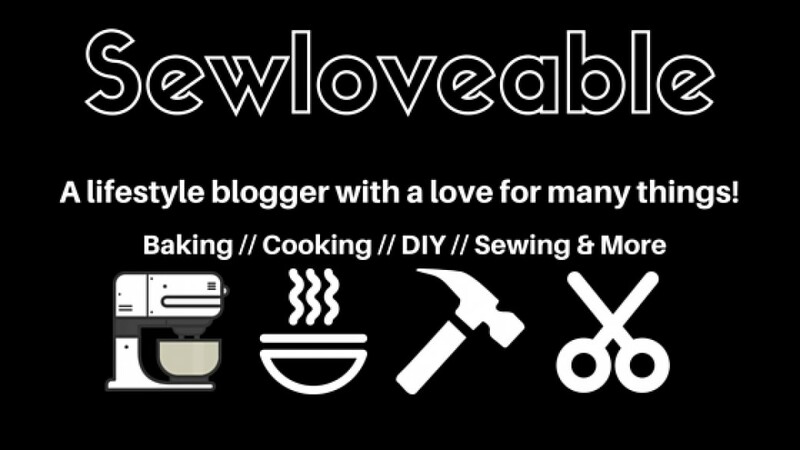 So, now that we have everything we need it’s time to get baking. Pre-heat the oven to 325° and lightly coat a donut pan with nonstick cooking spray. In a medium bowl, whisk together the flour, baking powder, salt and sugar. In a large bowl, whisk together the egg, milk, vanilla, and oil. Pour the dry ingredients into the wet, and stir just until incorporated. Distribute the batter between the prepared donut cups, and bake at 325° for 8-10 min or until light golden brown. Cool in the pan for 2-3 min then place onto a wire rack to continue cooling. To prepare the glaze, whisk together the powdered sugar, water, and almond extract. Dip the top of each donut into the glaze, and decorate with the sprinkles or whatever toppings you desire. 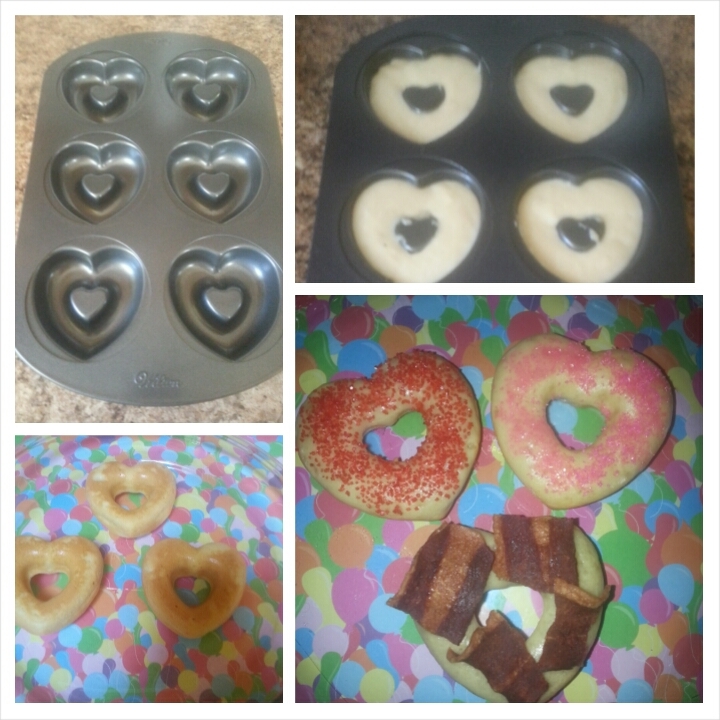 Oh yes before I forget here is the link to the heart shaped donut mold. The price was great and I just have to share when I find a really great bargain.